Adjunct Associate Professor Vicki Taylor has been appointed Executive Director. Professor Taylor has over 30 years experience as a clinician and health service executive leader. 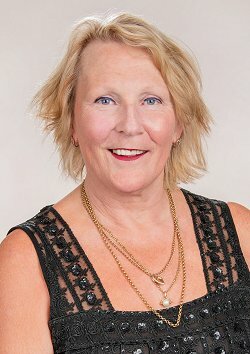 She has a well-established and recognised reputation as a leader who implements strategies to support and encourage best practice, true collaboration, fostering and strengthening partnerships that deliver innovative, evidence based health promotion, prevention, care and outcomes to the community. She is passionate about ensuring timely, safe, quality, patient and family centred care and health outcomes in the most appropriate and efficient manner. She has a strong commitment to enabling increased scale and translation of health research. As Chief Executive of Northern Sydney Local Health District, Professor Taylor played an integral role in, and led the redevelopment and reconfiguration of several major infrastructure projects, including Royal North Shore Hospital. During her six years in the role, she laid the foundations for optimal and sustainable outcomes for the local community, the people of NSW and beyond. Professor Taylor has served and serves on several boards, committees and organisations within the government, private, non-government, primary health, and university and research sectors. She is delighted to be joining Sydney Research as it takes an important step forward towards being the leading collaboration of health and medical research in Australia.